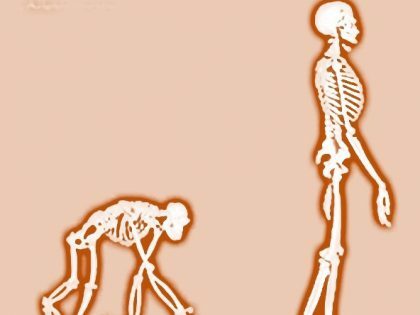 This journal compares the evolution of our modern human form, with the evolution of the bicycle. The modern human genome (you and me) is around a quarter of a million years old. 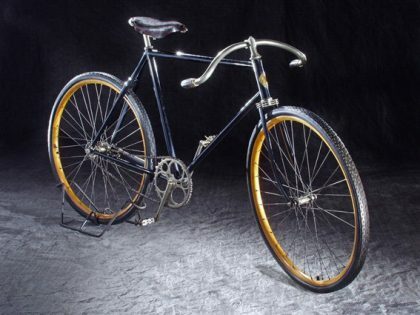 The modern bicycle is around 130 years old. The central question is whether they are perfectly evolved and innovated to work with each other? 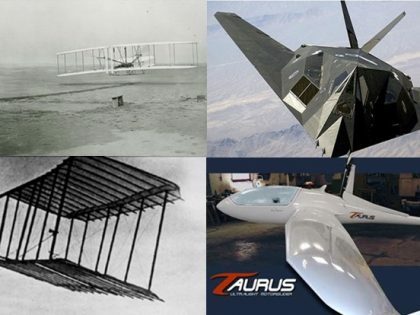 Other technologies seem to have progressed more than bicycles in the last 100 years. Why is is that? Why is the design of the bicycle stuck in the 1900's? Should we worry about that? Why have certain technologies innovated beyond recognition but the bicycle has been relatively static? Wright Brothers bicycle circa 1895. What's changed in 120 years? Not enough some might say? The intrinsic unnaturalness of cycling has been a founding mantra for us since the start of Cyclefit. We often remind each other that 'people didn't evolve to ride bikes' when we are working through a particularly difficult issue with a client, who is suffering from bike-derived pain. A chimp has a continuous curve to its spine, that inserts into the back of the skull. Humans have three spinal curves and an insertion into the base of the skull. Who is better adapted to ride a bike? Bipeds produce maximum power when they are in spinal extension with an open hip. As if you are sprinting away from a lion! 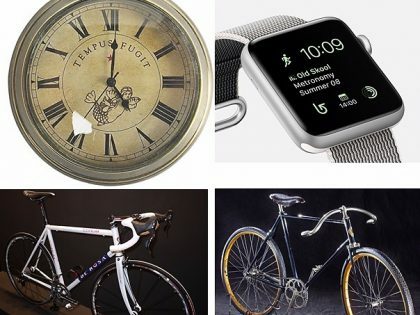 The image of The Wright Brothers 1895 bicycle (top right) is profoundly disturbing. Before they got into gliders and subsequently pioneering powered flight, the brothers had a very successful business building bicycles in Dayton, Ohio. The point being that as well as being stunningly beautiful, their 1895 model is just too similar to present-day bicycle design. Geometry, chain drive, wheel size, tubing architecture, biomechanical contact points - all the same. The fine calibration between a Victorian contraption & 250,000 year old genome! 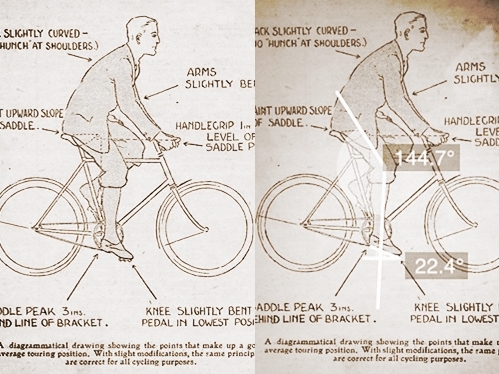 Either the Victorians were insightful enough about human biomechanics to hit the bulls-eye with bicycle design one hundred and forty years ago. Or there is another reason why bicycle design has not evolved very much in all that time? Either the Victorians were insightful enough about human biomechanics to hit the bulls-eye with bicycle design one hundred and forty years ago. Or there is another reason why bicycle design has not evolved very much in all that time? It is the aim of this essay to explore these themes. Are bikes better designed for chimps than humans? It took us millions of years of exploiting selective advantage to stand, and a few strokes of a Victorian pencil to be condemned to sit down for all eternity. As bipeds we have evolved to produce maximum power in spinal extension (standing) with an open hip. Hence the most powerful thing we can do is a 2-legged take-off into a vertical jump, where we can produce 32 watts/KG. 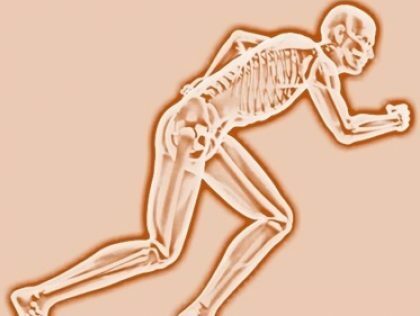 So why when the Victorian's wanted to turn chemical potential within our muscles into kinetic (forward/horizontal) energy, did they decide to have us sit-down with a closed hip and flexed spine? The answer is very simple - because they just didn't know any better. 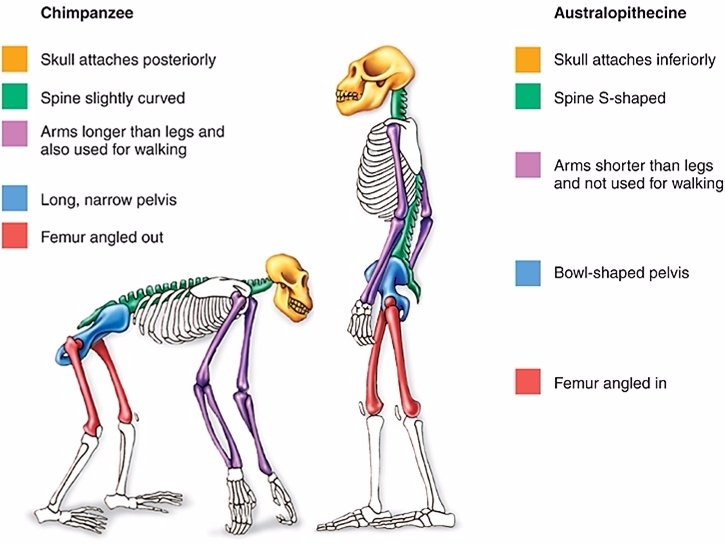 The fact is that the shape of the ape spine, with its continuous curve and insertion into the back of the skull, means that a chimp in many ways is better adapted to ride a bicycle than a human! 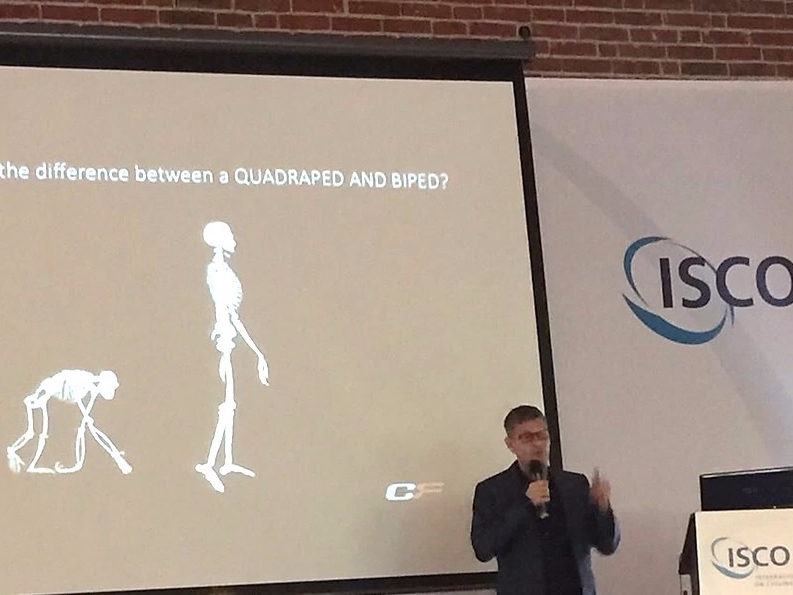 You can imagine this was not what the ISCO audience wanted to hear at the start of a conference dedicated to fitting humans to bicycles! Survival of The Fitter - A Victorian Contraption v's 250,000 year old genome? Francis Faure smashed Oscar Egg's 'unbeatable' 1914 Hour Record of 44.247kms in 1933 recording a distance of 45.028 kms! 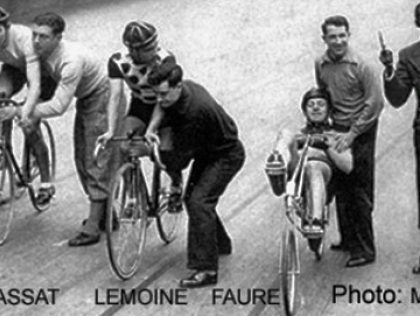 Faure was a 2nd Cat club racer. Faure, an amateur beat all the assembled professional riders of the day to establish a new hour record. 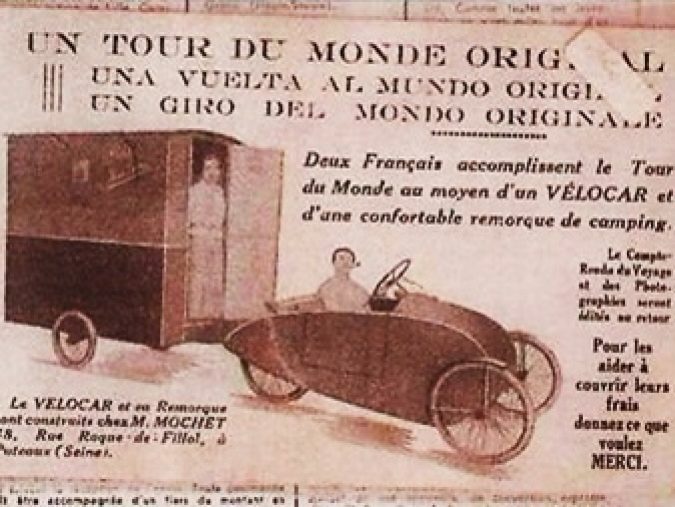 Mochet's dream was for the Vélocar to help mobilise an impoverished post-war France, by giving the people clean, cheap, simple pedal-powered transport. The UCI, car and bicycle industries had other ideas. 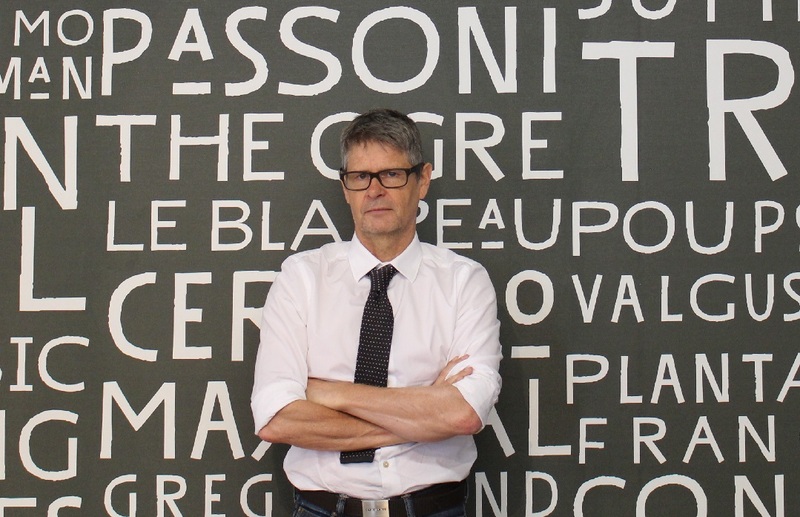 The UCI rarely covers itself with glory, but in the following story, are implicated in actually constraining the development of something that could have potentially benefited human development and the ecological balance of our planet. The bicycle itself. The speciation event took place in 1933, when designer Charles Mochet and local racer, Francis Faure decided to take on Oscar Egg's 1914 Hour Record of 44.247kms. This record had stood for twenty years and was considered to be unbeatable. 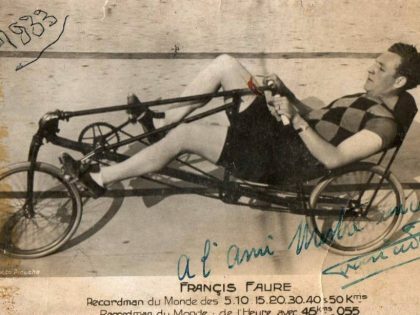 Faure was the equivalent of a 2nd cat racer and was not given much chance of taking the record at an open event against a few professional riders, who were also making attempts. Mochet and Faure were careful to get the blessing of the all-powerful UCI for his Velocar 'recumbant' design. On the day Faure was mocked by his fellow competitors. But Mochet had done his homework and the hilarity stopped one Faure's track-speed was clear. By the end of the hour Faure and Mochet had added almost a whole kilometre to Oscar Egg's unassailable twenty year record at 45.028 kms. 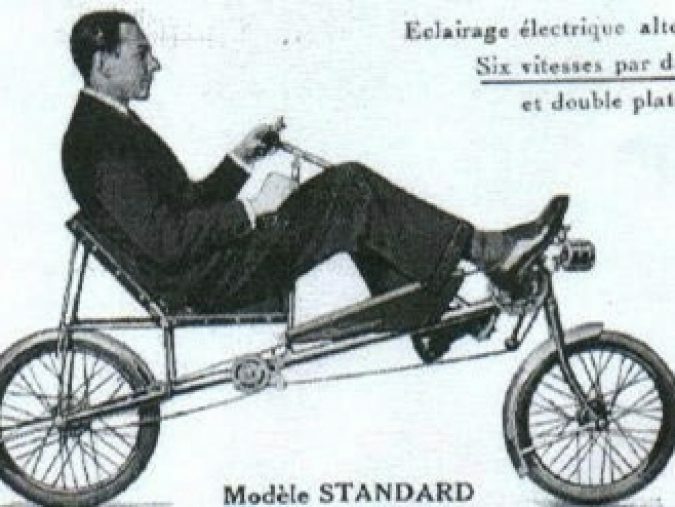 Just like they did 60 years later with Obree, the UCI stunted innovation because they saw it as a threat. Here a prototype electrically assisted recumbent. Charles Mochet's dream was to provide low-cost sustainable transport to France as the country struggled with a lack of resources, particularly petrol between the wars. 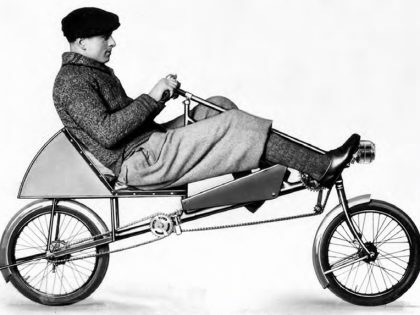 The Faure Velocar gave him proof of concept to launch micro-cars powered by pedal or a mixture of pedal and motor assist. The dashing of his dream is our 'speciation' event. The Union Cycliste Internationale or UCI, under lobby from the french bicycle manufacturers and car industry, immediately banned Faure and Mochet's record. At the same time they banned the design from all competition. After two months the UCI laid down very precise criteria for the definition of a bike. This definition was essentially the same criteria that The Wright Brothers used in 1895. A lazy bicycle industry now had little need to move from this arbitrary set of random criteria because it had been set in stone by The UCI. The species of the bicycle was from that point forward enshrined. You could argue that post 1933 and the UCI's Faure/Mochet decision, bicycle design was no longer a dynamic function of science, research or the pursuit of efficiency. In the sense that you could no more change the design of a bicycle than you could the rules of chess. The definition of a 'bicycle' had become frozen around a Victorian curiosity. That means calling advances in bicycle design and technology, such as Shimano Di2 is arguably more akin to laser-guiding maggots or leaches onto open wounds, and calling it a revolution in clinical medicine. 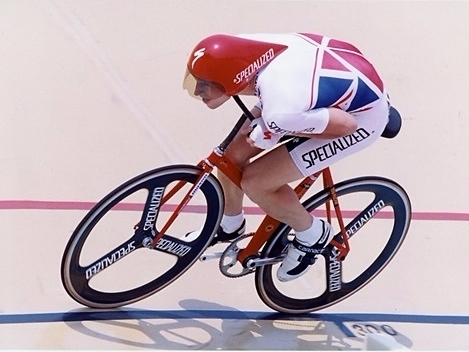 Graeme Obree has broken and held 3 world records – 1993, 94 and 2013. And twice banned by UCI for his efforts. hard not to take that personally. Lots of old terrified men in cheap suits. Graeme Obree was born with a propensity to be an outstanding athlete, but almost more importantly, to be able to think, engineer and improve human-to-machine solutions, better than anyone else before or since. 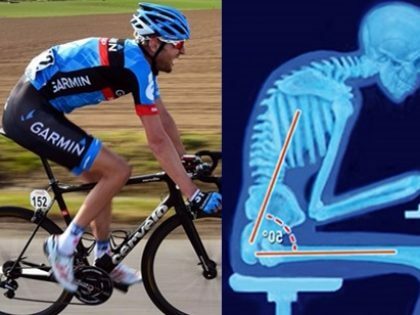 My contention at ISCO, was that, reviewing Obree's history and work, he has the potential to be a Leonardo da Vinci prophet for the bike industry and especially bike-fitters, clinicians and academics. The greatest living natural cycling biomechanist - Graeme Obree. A genius of our time. He deconstructed evolved bipedal function and then applied it in its purist form into kinetic energy. He rode this bike to 91kmh at age 47! It's very hard to love the UCI. A cynic may question whose interests they regularly serve beyond their own and associated vested partners. Obree's own struggles with the UCI from the outside seemed to have a mythic David and Goliath quality. I hope someone at ICS16 remembers to ask him about UCI. I certainly will. 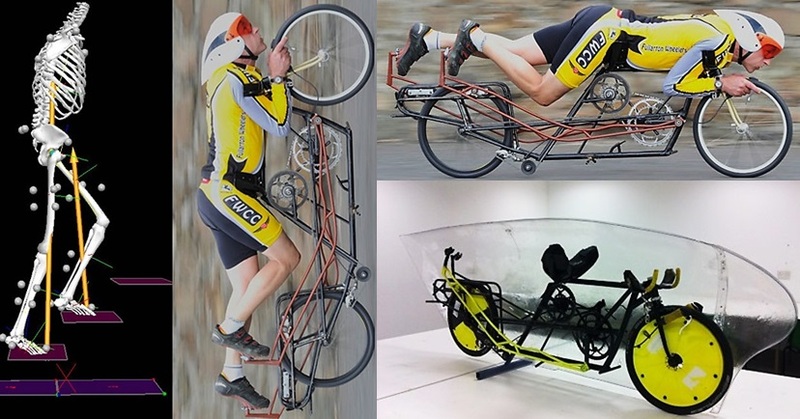 In his competitive life Obree Graeme Obree has broken and held 3 world records – 1993, 94 and 2013. And twice banned by UCI for his efforts. Faure and Mochet would certainly have empathised. Charles Mochet was going to use his succes with Faure's hour record to springboard a whole new generation of Vélocars to help France regernerate after WW1. The ease which Faure took Oscar Egg's Hour record terrified the French car and bicycle industries. They used the blunt power of the UCI to define what a bicycle was and still is. This irradicated Faure's record and destroyed Mochet's plans. He died a year later. Why has the bicycle design survived if it is so bad? It has survived, largely unchanged in dimension, philosophy and architecture, since the time of The Boer War, precisely because it is not that bad. It is actually reasonably good at low to moderate power outputs. We typically only use between 10-25% of maximum power when cycling. Most people ride most of the time between 60-400 watts, which is a small fraction of what they are capable as an explosive effort. And if we need to use short bursts of big power we tend to stand up as if we are climbing stairs or sprinting away from an attacking lion. History matters! The QWERTY keyboard is another example of 'Speciation' or Path Dependence. Another product whose progress is stuck in the 21st century because of events in the 19th century! 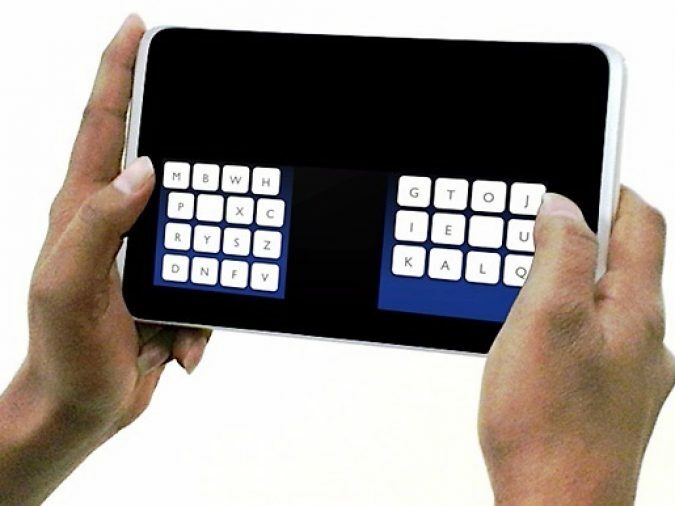 The QWERTY keyboard will be gone soon. Replaced by voice recognician and/or KALQ layouts (above). 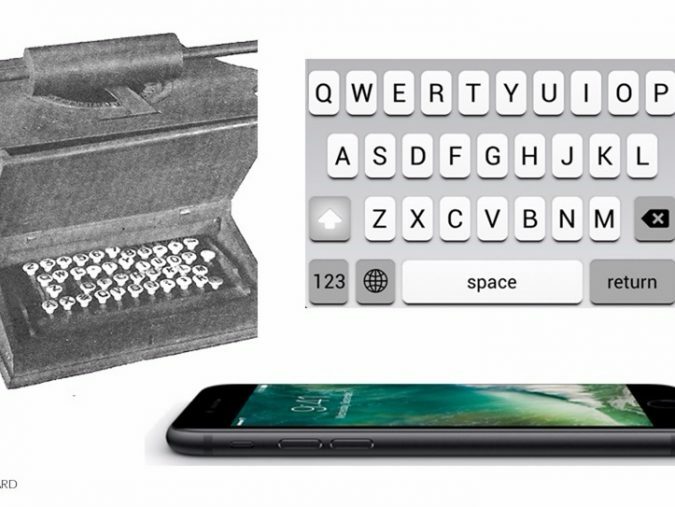 Mobile devices have given QWERTY a limited lifespan, at least 100 years overdue.